All sorts of problems can plague digital cameras and memory cards. Some are technological, where a camera may become corrupted and therefore damage the file system on its memory card. Other issues can be accidental, such as overwriting old images thinking that they had already been stored. Regardless, memory card recovery has never been easier with the use of Recover My Photos. 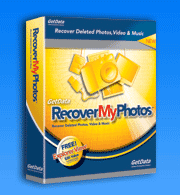 Recover My Photos is the leading memory card recovery software available. It is simple to use and requires little effort to get running. Simply insert your memory card for recovery in to a card reader which is connected to the computer, run the program, and select “Deep Scan” from the main menu. When the drive selection is displayed upon the screen, select your memory card, which should be listed as a drive letter and/or a physical drive. Upon completion, you should be able to find your photos in the results screen of the software, By clicking on them, you will be able to see the image that you had previously lost. Recover My Photos has made memory card recovery easier and the leading software in the industry.